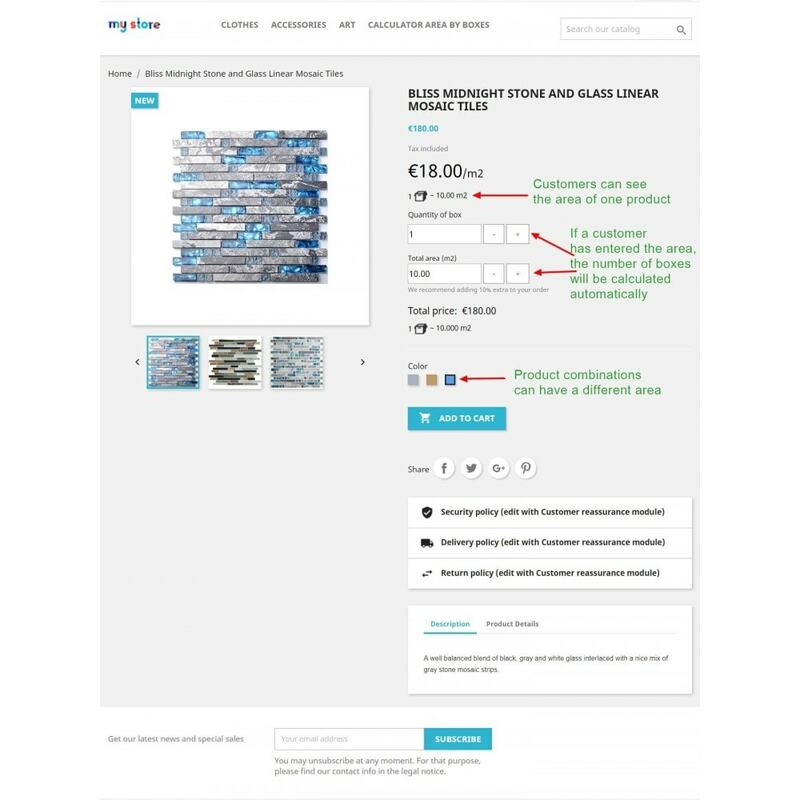 The module allows you to sell products by boxes (packs). The customer can enter the square and the module will calculate the total number of packages required for the area. 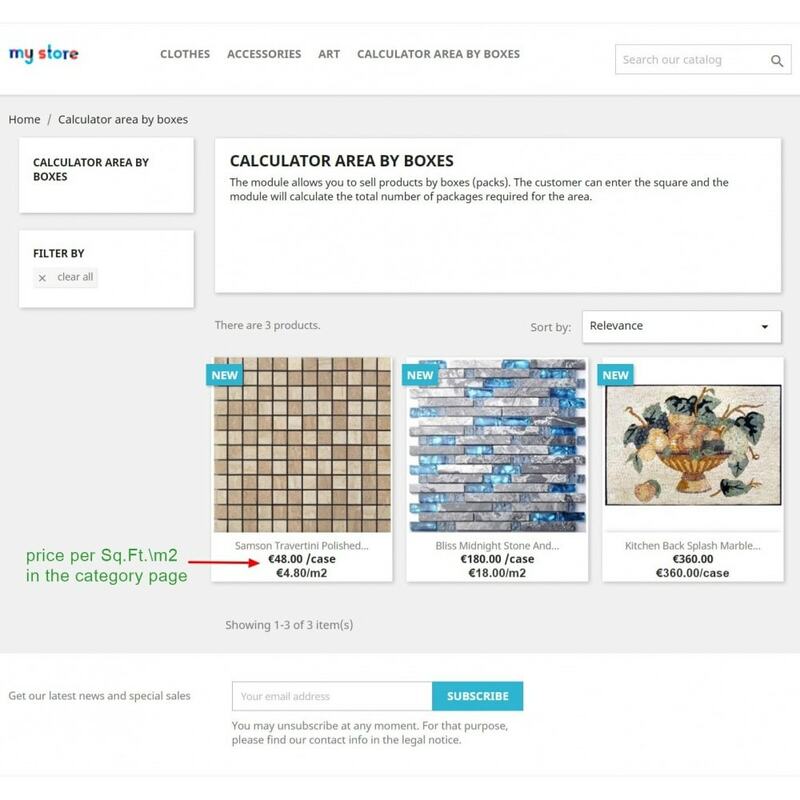 If you are selling your products in area (surface) units, or by boxes, you'll definitely need this module. 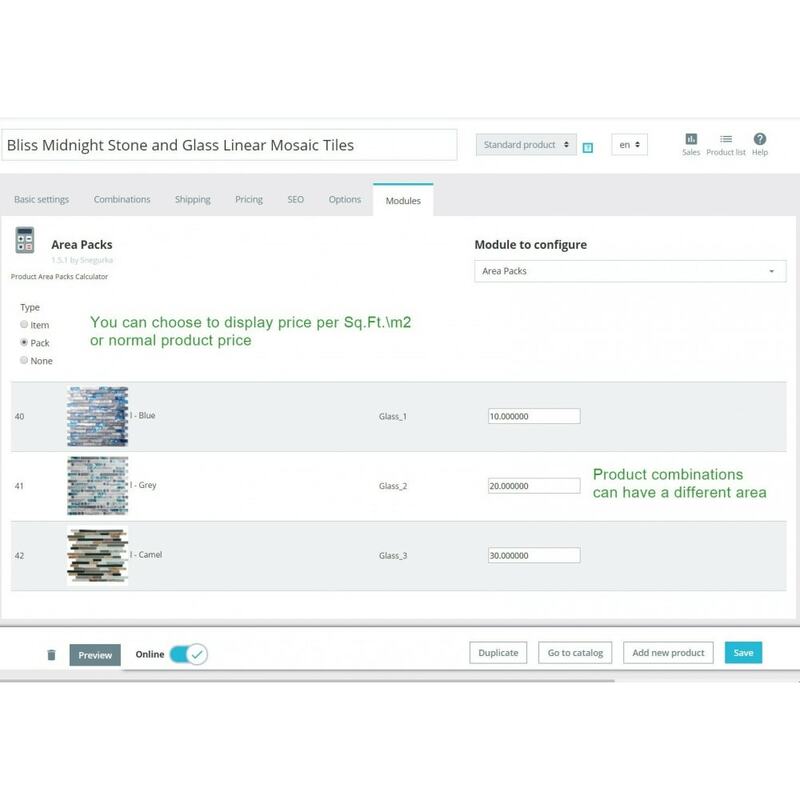 You can choose to display price per Sq.Ft.m2 or normal product price. 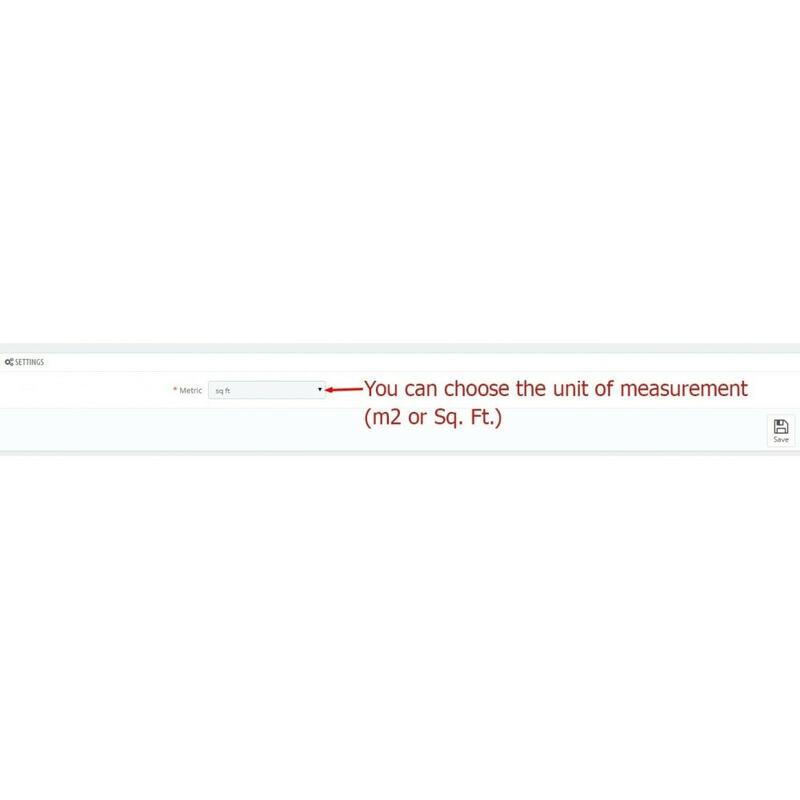 Metric or Standard (English) units option: supports the units of m2, Sq. Ft.
You can enter the area for one product or for each combination separately. Customers can see the area of one product. 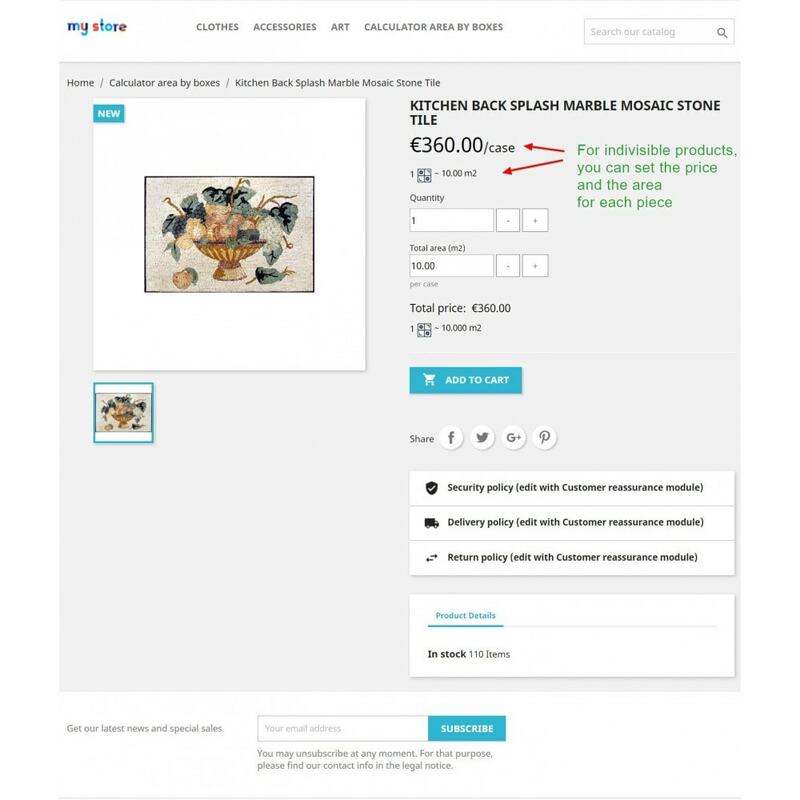 Customers can see the area of all items from the box.